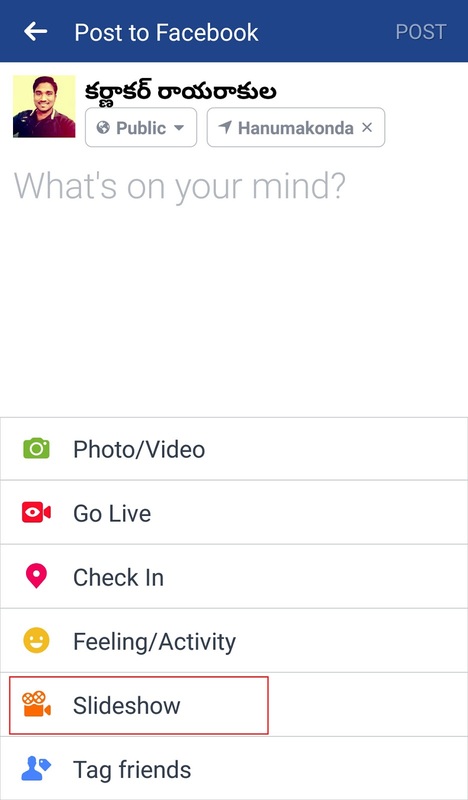 Day to day Facebook going to give you to share more and more on Facebook - so it's main object to out a new feature or option designed to do something new.Facebook is now pushing an automatic quick video-maker feature called as Slideshow.Sharing videos and pics most important part of Facebook. 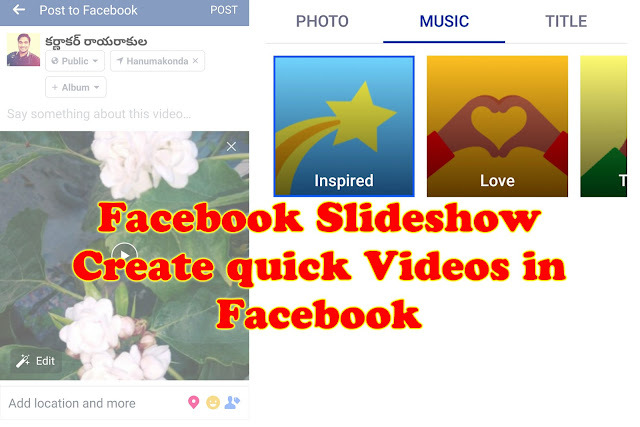 Facebook is giving a new feature called as Slideshow. It is an easy way to create and share the slideshows (videos). 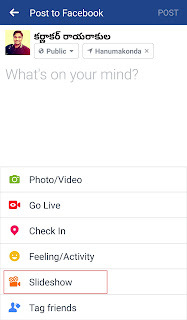 The Facebook application will sync with your phone's gallery. Simply you need to select some photos and a loveable music theme given from the Facebook. And took a beautiful title for the video. The title shown in the 1st picture of the slideshow .. If you satisfied for this post. please comment your opinion about my website ..